“Click-Clack.” It’s the iconic sound of two Tegu Blocks coming together. 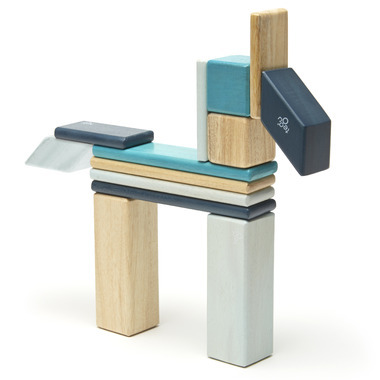 Tegu has reinvented the wooden block in a way that brings new life to a favoured classic. By safely embedding magnets into each piece, Tegu Blocks become curiously attractive for both kids and kids at heart. Defy gravity and push your imagination in ways never before possible. No instruction manuals or electronics; just toys that demand imagination and inspire limitless creativity across all ages. 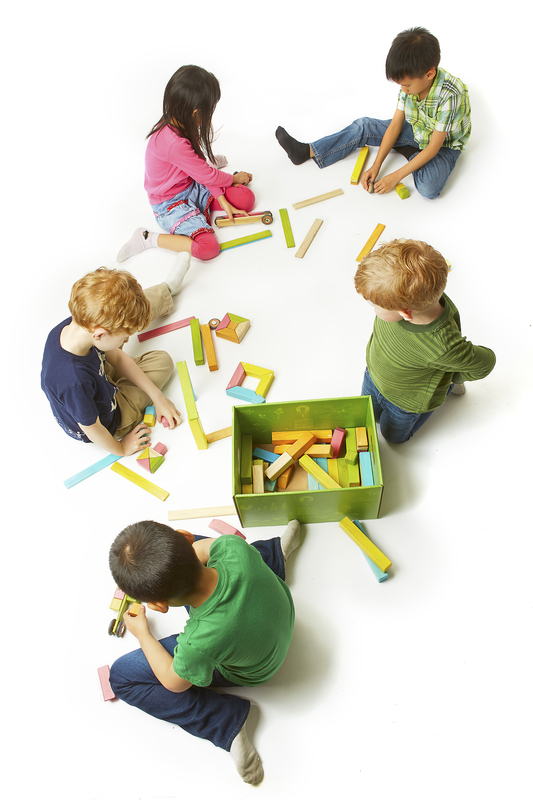 Open-ended play is endangered, but Tegu is bringing it back. Created with beautiful Central-American hardwoods and safe water-based finishes, these blocks have proven wildly addictive for kids (and kids at heart) and will encourage the simple joy of creating for generations. This set includes 14 blocks in 5 shapes: 2 medium columns, 4 long planks, 4 short planks, 2 cubes, and 2 parallelograms. Tegu blocks come packaged in a beautifully designed box large and rigid enough to store the blocks for many years to come. Each set also includes The Tegu Story -- a booklet containing various building ideas and information about Tegu's social and environmental initiatives. There is something magical about watching a child's imagination unfold. The curiosity. The ingenuity. The creativity. Even more exciting is creating a product that unlocks a child's mind. 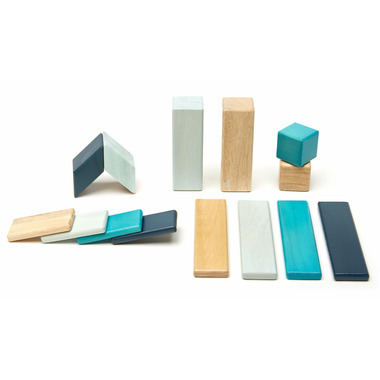 Please Note: Above video shows Tegu Magnetic Wooden Block Set in Tints (14 Pcs). This video has been uploaded to show the endless possibilities you can have with Tegu! My 18 month old Granddaughter llikes the blocks. She not sure how the blocks go together, she will learn. This is a great toy that will last for many years, This is a very well made toy. My 16 month old likes these blocks, even though he is not really sure how they work. It will be a toy that remains relevant for years to come. Seem very well made.